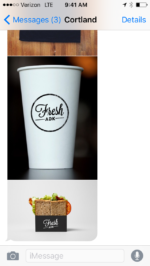 Fresh ADK is an amazing and unique Cafe that offers fresh food for all! Whether you have decided to simply eat clean, real food or if you have one or several dietary restrictions, Fresh ADK is the place for you to dine. We offer many options, for children and adults alike, with amazing flavor profiles. I am a Foodie, but after struggling with health issues caused only by eating the wrong foods, I decided to educate myself and open a place that was safe for even me to eat at. We have 2 Chefs and a nutritionist on staff to help anyone maneuver through complex dietary needs of anyone. We cannot wait to serve you. Hours of Operation: 6:45 a.m. to 5 p.m.